An Army of Lab-Developed Mosquitoes Is a Real Plan for Fighting Zika. Wait, What? Worried about Zika? Consider your fears allayed: a biotech startup is testing an army of bacteria-carrying mosquitoes designed, effectively, to sterilize the mosquito that transmits Zika and dengue fever. You'll sleep easy tonight knowing that an all-out mosquito war is brewing! Update 10/26/16: The Mosquito War has officially been scheduled to start in Brazil and Columbia at the beginning of 2017. MosquitoMate is the American company developing these killer mosquitoes, though there are other companies, universities, and researchers working on similar strategies. The concept is pretty simple: put a bacteria, called Wolbachia, into male mosquitoes, and set them free into wild mosquito populations. When they mate with the females, the bacteria prevent the eggs from hatching, which essentially creates a sterilized population and a lot of tense mosquito relationships. After the males are given a bit of time to spread their deadly seed, the total population dwindles. All this talk about lab-developed mosquitoes waging war to sterilize a wild population of Zika-carrying monsters seems like it would go over just fine with people living on (or under) the battlefield. Hah! In a regulatory oddity, MosquitoMate is asking for the Environmental Protection Agency to approve its skeeters as a pesticide; compare this to British company Oxitec, which modifies a gene in mosquitoes to make them "self-limiting," which basically means that cute baby mosquitoes born with the altered gene can't survive to adulthood in the wild. So sad. Florida Keys residents aren't exactly happy with the company's proposal to unleash these genetically modified insects into their community, a process that's approved by the Food & Drug Administration -- a petition to prevent the trials has nearly 170,000 signatures. Why is everyone freaked out about releasing man-made mosquitoes into the wild? The websites of both MosquitoMate and Oxitec offer reassurances that their products -- again, mosquitoes -- are safe and won't cause any problems at all, why is everyone freaked out about releasing man-made mosquitoes into the wild? MosquitoMate's tagline is even the soothing and not-at-all fascistic "Developing rational alternatives for mosquito control." 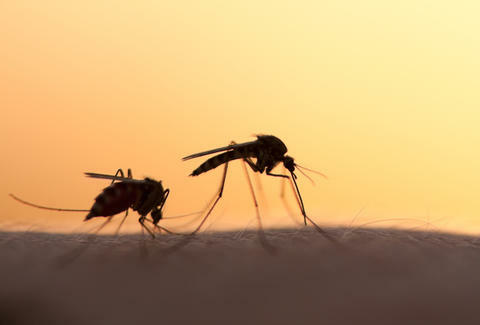 One of the proposed benefits is less reliance on pesticides, though without any major tests completed, it's impossible to say whether inciting mosquito war will work as a long-term disease-management strategy. Preliminary results in Brazil, though, indicate that the GM mosquitoes do seem to reduce the total population. And at least some kind of strategy is needed; before an outbreak in 2009, dengue fever (carried by the same mosquito that transmits Zika) hadn't made a native appearance in Florida since 1934. It's probably not going away anytime soon. But there's hope! Since humans have a pretty good record when it comes to messing with the environment, you have no reason to fear the impending Great Mosquito War. Anthony Schneck is the Health editor at Thrillist. He modifies genes in his spare time. Follow him: @AnthonySchneck.